Mr. Golub joined Marcus & Millichap in 2013, specializing in the sale of investment properties in the Astoria, Long Island City, Sunnyside and Woodside sections of Queens. Prior to joining Marcus & Millichap, Zachary worked for 2 years as an apartment rental agent throughout the city. This experience has given him a very analytical eye when it comes to identifying value for Multi-Family Property Owners. He studied Sociology and Psychology at Loyola University in New Orleans, where he also developed his own mobile bicycle repair business which takes an “AAA for bikes” approach. In addition, he launched the school’s first-ever Bicycle Share program for students and faculty to bolster the university’s environmental sustainability initiatives. It is with the same genuine desire and creativity that he accomplishes the goals of his real estate clients. 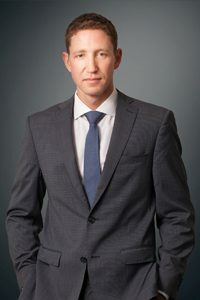 Zac also gained valuable experience in the worlds of technology, marketing and advertising prior to making Commercial Real Estate his full-time career. In his spare time he enjoys Cycling, Racquetball, Tennis, and Bocce.